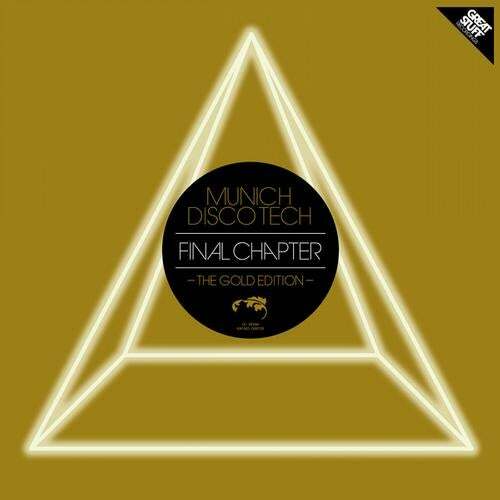 Munich Disco Tech vol.14: The Final Chapter Great Stuff Recordings All good things must come to an end. If they don't, they eventually fizzle out unimpressively. And so just like the smartest bands who know it's best to call it a day when they've hit their peak. Great Stuff Recordings' stupidly successful Munich Disco Tech EP series comes to its last release: the 13-exclusive tracks of Volume 14: The Final Chapter. No less than 20 artists combine on this grand finale to provide an EP of highly effective house and techno styles, making for the perfect send-off for the series. The highlights of the previous thirteen releases have been numerous, with a huge array of talents from Ian Pooley to Ramon Tapia to Umek to James Talk to Tiger Stripes to Bass Kleph to DJ Chus featuring along the way. Here's what this ultimate episode has in store: Christian Cambas - We Found A World (Original) A game of two halves 2 big swirling, atmospheric, almost electro-esque breakdowns intersperse a fiendishly bouncy, stripped back techno groove that's shaken and stirred to perfection and punctuated by sharp rave stab blasts. Christian Cambas - We Found a World (Stefano Noferini Remix) The Italian master brings his tried and test formula to the remix, stripping elements out to create a bouncier still reworking that's all killer, no filler. One to get the bodies jacking and the dancefloor sweating. David Amo and Julio Navas - The Waterparties (Fresco Mix) Those talented Spaniards deliver once again with their undulating, elasticated wiggler, laden with sassy charm and minute little samples that are cleverly woven together to create a syncopated jackathon that screams "open-air summer festival-. Filthy Rich & Juan Kidd - Break This Down Combine shuffling old skool percussion and sustained, tense lines, rap samples and new skool flavour and what do you get? A cheeky little roller from two soaring UK house music talents. Falling somewhere between the deeper end of tech house and the bigger room sound, it's a track that should amply satisfy fans in both camps. Federico Scavo, Danny Freakazoid & Strobe - Feroda Rasping electro attitude meets techy groove on this three-way collaboration, overflowing with a rampant bassline, white nose pulses and a generally heavy attitude. A big electronic monster to lay waste to large arenas at peak times. Marco Lys - Kaleido The star of Chris Lake's Rising Music provides a typically chunky track for the compilation, layering twisted ethnic instruments and vocal chants over one of his trademark big old basslines and hip-shaking percussive patterns. Incessant. Ant Brooks 2 Reflekt Big room mid-'90s house is the order of the day here, with Brooks' joyous, fist-pimping ode to the classic European sound of older. Uplifting string cascades, heartfelt piano chords and of course some gruff diva vocals to top it all off. Irresistible and authentic. Mihalis Safras & Kiko 2 Tsiko Crisp, chunky beats are at the heart of Safras and Kiko's new excursion, punctuated by sprightly off-beat bassline and echoed chord stabs. It's a track that doesn't let up, and that keeps the energy rolling continuously. No stop-start, up and down journeying; just solid momentum. Max Bett 2 Pizza This gorgeous little number gets its colour from a cool, summery, quivering LFOed synth line, equally funky and techy in its texture and bringing a deeper moment to the compilation. It's no snooze-fest though; sublime chime chords, sweet counter melodies and warm bass combine in sumptuous fashion throughout. Danny Serrano with Gonzalez & Gonzalo - Sake Want some no-nonsense techno? You've found it. This rolling tribal-infused groover is a heads down rhythm track, concerned with nothing else but satisfying primal urges. A very useful set builder to keep the energy flowing, Townston & Delgado - Day & Night A deeper cut, driven by a superbly classy bassline, and fleshed out with dusty disco percussion and gently muted chords and pad swathes. It's deep house for sure, but with the requisite energy to make it work on an early dancefloor and not just laidback lounges. Mario Ochoa 2 Chronos Yet more dancefloor gold in this shoulder-popping track, whose tight and tidy rhythms are broken up by synth 'n' tribal vocal breakdowns to brilliantly juxtaposing effect. If this doesn't elicit a huge reaction every time it's dropped, we'll eat our proverbial hats. Alexis Cabrera & Matteo Spedicati - Make Me Feel Jazzy, off-kilter organ chords create a groovy yet slightly twisted atmosphere on this peppy little roller, recalling organ classics of the past filtered through the prism of light, seductive tribal-tinged tech house percussion.